I sobbed buckets. It was the most emotional rollercoaster watching this film and it really made me cry. I wish I hadn’t watched it with my daughter because she is only 5 and she was heartbroken twice when the dog got hit and once when he nearly died ! This makes the film sound a real tear jerker (it was actually) but it was also sweet, tender, sensitive and uplifting. It has it all; war heroes and deserters, lonely children being bullied and later making friends. It has young love, the love of a loyal dog and really it’s a tale of growing up. 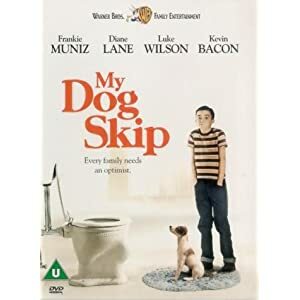 Apparently it’s based in a real life story of a man who as a boy had a best friend as his dog. Sounds dull? It is anything but. Put my heart through the wringer. I don’t think ity should be a U I have to say even my 7 year old son was upset when the dog got hurt. Perhaps for over 10’s? This is distributed by Warner Bros. A top film if you fancy a weep. Quite touching too! It does sound like a lovely film but I won’t be letting Amy watch it. She’s a total dog lover and I think this might be a bit too upsetting for her – she’s incredibly sensitive!